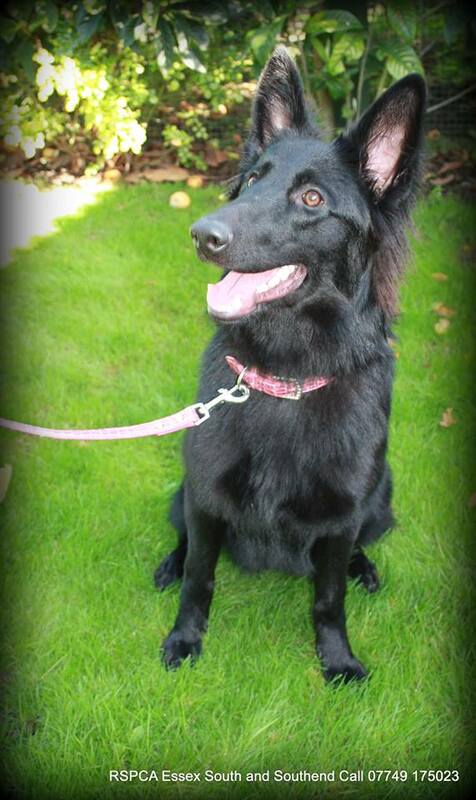 Sascha is a 9 month old female German Shepherd, who is searching for a new home, she has lived with dogs, cats (although would need to be very dog savvy cat) and older children. Sascha was adopted from us as an 8 week old puppy and is very friendly and intelligent. She knows all her basic commands and has recall. Sascha may need help with toilet training during the settling in phase. As with an...y adolescent dog she needs direction, positive guidance and continued training, but most importantly commitment from her new owner, to enable her to develop into a well mannered confident adult. Sascha will be spayed, and is vaccinated, micro chipped, worm and flea treated. Minimum donation applies, please call 07749 175023 or email dogs@rspcaessexsouth.co.uk to enquire. Thank you.